The borrower must be active duty or have had prior military service (honorable discharge). In some situations, the surviving spouse of a Veteran and some civilians will qualify for a VA loan. For more information about VA loan eligibility, click here. The borrowers existing monthly debt along with the proposed new debt will be deducted from the borrowers’ gross income. Although the VA (United States Veterans Administration) does not have a specific debt to income ratio, generally each investor will use 41-51% as a metric. In the event that a borrower exceeds this amount, residual income can be used instead. Each property will be appraised by the VA. Each appraiser is chosen out of a pool of VA approved appraisers. This is done so that the borrower, seller and real estate agents may not attempt to manipulate the value of the property or the results of the VA Home Loan Appraisal. Each property is inspected by the VA appraiser for acceptable standards of safety, constructional soundness and sanitary existence. In the event that these conditions are not met, the seller may make the necessary repairs before the closing. VA Loans are available to borrowers with prior bankruptcy, foreclosure, or short sale. With the exception of a Chapter 13 bankruptcy, there is usually a 2 year requirement for discharge, short sale, deed recording, or action of credit report before you can be approved for a new VA loan. For a Chapter 13, you must have 12 months of payments but a discharge is not required. To apply for a VA loan, complete the VA Home loan application here or call 888-573-4496 to speak with a VA Home Loan Centers approved loan officer. The application process will take approximately 15 minutes. 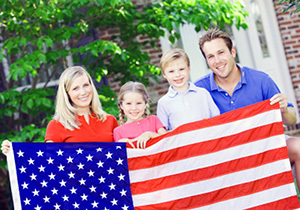 The qualifications for a VA loan are more relaxed when compared to a conventional home loan. VA Loan requirements will vary by the individual. Each borrowers circumstances are a contributing factor in the VA loan qualifications process. The statements above are for informational purposes only. To find out what government insured mortgage you will qualify for or for more information about VA loan eligibility, call the VA Home Loan Centers applications desk at 888-573-4496.